Is it worth for foreign investors to start a business in Ukraine? Nowadays, taking into consideration the desire of Ukraine to sign an association agreement with the EU, the question becomes especially significant. Since people in the Netherlands are going to decide very soon during referendum whether they support Ukraine or not, Dutch politicians, members of the Democratic Party “D 66″, visited Lviv to evaluate the situation. Symphony Solutions, as an example of successful foreign business in Ukraine, was proud to host such special guests in their office. “We are here to assess the investment climate and also because there will be a referendum in the Netherlands on Association Agreement between Ukraine and the EU on April 6th. Our party is going to recommend to vote “for”. One of the problems we’ve noticed is corruption, but the good thing is that people understand this and sincerely strive for changes”, said Kees Verhoeven, the deputy of parliament of the Netherlands, Democratic Party “D 66”. The delegation has met with businessmen and compatriots in Lviv. Theo Schnitfink, who is the CEO of our IT Company has been happy to show the office of Symphony Solutions and share his experience in starting and running business in Ukraine. He needed to admit it has not been easy to develop the business. Nevertheless, he does not regret choosing Lviv. “Among the reasons why I have chosen Lviv are good specialists, nice level of English and also geographical and mental proximity. However, here I have faced up with corruption for the first time. It is different in the Netherlands. I run my business without any bribes on principle. It is not easy, but possible. 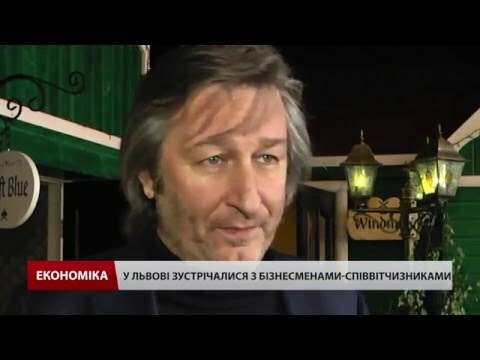 And I am ready to recommend Lviv for those who plan to invest in Ukraine”, said the CEO of Symphony Solutions, Theo Schnitfink. A member of Parliament Sergiy Kiral says he is sure that such successful business examples are the best advertising of Ukraine in Europe. “The Dutch are logical rational people who try to take everything into consideration. They also think if someone has succeeded, then why cannot they do the same? Moreover, there is a certain Dutch environment created in Lviv now, and for those who want to set up their business here, it is going to be much easier, since it it’s possible to share experiences, get recommendations and help”, mentioned the national deputy of Ukraine, Sergiy Kiral. Dutch politics say that Lviv has exceeded their expectations. Consequently, the city is believed to constantly increase investments from the Netherlands and Symphony Solutions is happy to play its role in supporting the image of Ukraine and contributing into its future.